Alejandro González Iñárritu's forthcoming survival drama, based on the true story of early-nineteenth century American fur trapper and frontiersman Hugh Glass, The Revenant, is already generating positive critical praise ahead of its 2015 Christmas Day release. Standing as a follow-up to his Oscar-winning Best Picture, Birdman, from last year, Iñárritu has quite the task at hand if he wants his latest cinematic venture to prove more enticing than its immediate predecessor - and the esteemed company that it will share at the box office this weekend, too. 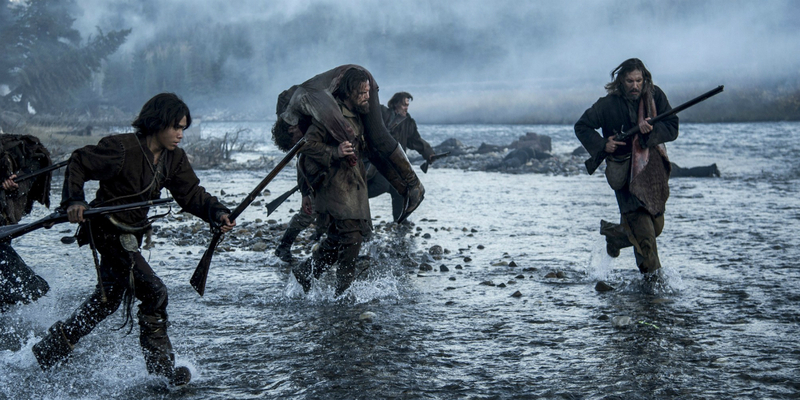 According to the director himself, Iñárritu's The Revenant should offer those eager for a man against nature thriller plenty to sink their teeth into - and the latest featurette, which includes interviews with the film's cast and crew, also promises just that. In the video featured above, Iñárritu, cinematographer Emmanuel Lubezki, and actor Leonardo DiCaprio list the ways in which The Revenant will tell a story of the journey embarked upon by its characters, both externally and internally. The grand, operatic nature of what Iñárritu refers to as a narrative - one that contains all of the same elements in the tradition of Jack London - is visually impressive, and the shots and sequences depicted alongside the filmmaker's commentary is nothing short of spectacular. Just how well the finished production will live up to the hype that has already proliferated ahead of the film's theatrical release is likely to be a question on many moviegoers minds - as they choose which big-budget spectacle they might want to see over the course of the coming weeks. Iñárritu will likely offer a visual spectacle sure to sustain those looking for a very specific kind of entertainment; albeit, on that might not suit the tastes of all moviegoers looking for less confrontational, holiday fare. For those who are uninterested in Iñárritu's admittedly self-important grandiosity, the weekend box office will also see the release of the latest Quentin Tarantino feature, The Hateful Eight. For those merely looking for a good time at the movie theater, Tarantino might be their saving grace; assuming you've already seen a little film called Star Wars: Episode VII - The Force Awakens, anyway. The Revenant opens in a limited theatrical release in the U.S. on December 25th, 2015, before it goes into wide release on January 8th, 2016.